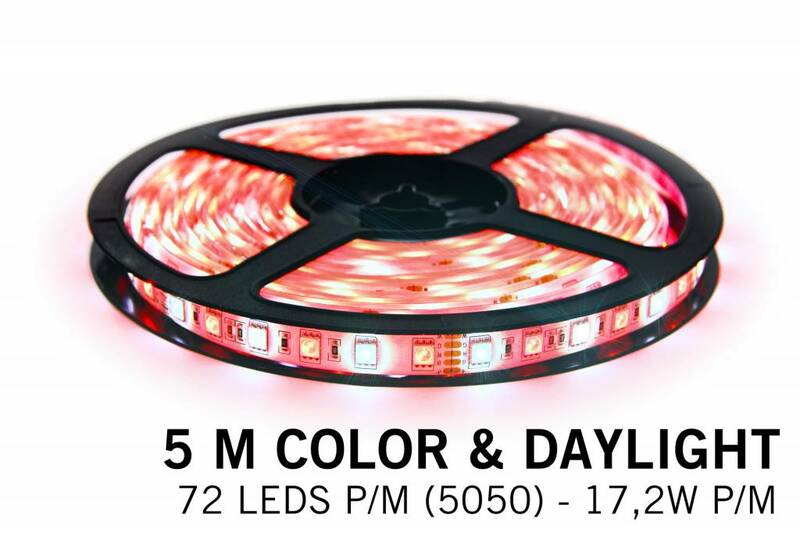 With 20% more LEDs than standard RGBW LED strips, you have a wonderful daylight ambient lighting (6000K), while still having the freedom to switch to a nice color: 180 multicolor RGB color LEDs on one strip with 180 dedicated daylight LEDs! This versatile RGBW strip contains A-quality LEDs and leaves many other RGBW LED strips behind with its long life span, bright SMD 5050 RGB + Warm White LEDs and the use of high quality materials. 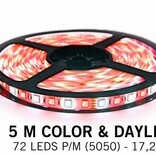 This RGBW LED strip with 360 (Type 5050) LEDs has a total length of 5 meters. * Is divisible every 10cm.